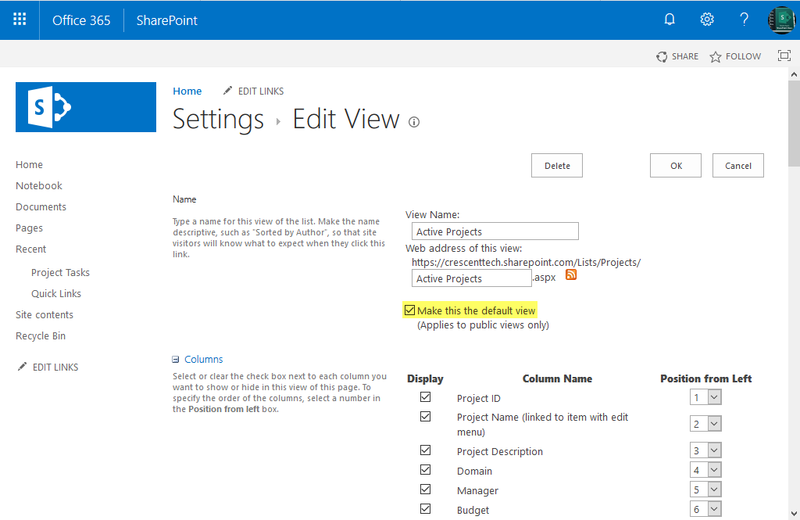 Requirement: Change default view in SharePoint Online. How to Change Default View in SharePoint Online? In the Edit view page, Check the box next to "Make this the default view" and Click OK to save your changes. Tips: In Modern Experience, We can use "Set Current View as Default" in Views Drop-down! Here is the PowerShell script to change default view in SharePoint Online. Write-host -f Green "List View '$ViewName' is Set as the Default View!" We also have MobileView, MobileDefaultView properties to enable mobile view and make a default view for mobile! Write-host -f Green "View '$ViewName' Set as Default View of the List!" With Set-PnPView cmdlet, you can update properties of a list view such as: Title, Hidden, JSLink, RowLimit, ViewQuery, Etc.